Bajaj Finserv, India’s leading consumer durable finance company has launched India’s first EMI Finance App. The app gives users the freedom to apply for an instant EMI finance anytime, anywhere. To make the most of the festival season in India, the company has introduced the EMI finance approval app to get your EMI Finance approved in just 3 simple steps directly from your Smartphone. Consumers who want to buy LED TVs, Smartphone’s, Furniture and other items on EMIs will find this app quite useful. They can get instant approvals through the app just by touch of “Quick Apply button”. All that the user has to do is Download the App and login or create an account which gives you the option to login using your Aadhar Card, Facebook, Twitter or Google+ which enters the personal details directly. The App is available for both Android and iOS devices which can be downloaded from their respective Stores in the consumer’s smartphone or tablet. • Avail Instant Approval for pre-approved loans up to INR 3 Lacs at a tap. • Login with Aadhar Card, Facebook, Linkedin or Google. • Share only the first 6 digits of their Credit Card to get an extra advantage. This increases their chances of getting an approval, and also makes them eligible for higher loan amounts. No money will be deducted from their card and Bajaj Finserv does not use your Credit Card details for any banking purpose. • Convenience of applying from anywhere, anytime. • Edit their personal details easily. • Post approval, shop across any of Bajaj Finserv’s 12,000+ partner outlets in, over 150 cities. Quikr has launched QuikrServices with a special focus on the unorganized sector of service providers across the country. QuikrServices addresses customer needs by bridging the gap between the offline local home services ecosystem and online demand for the same. QuikrServices will help their users to find technicians, carpenters, electricians, pest controllers, home cleaners, plumbers, mechanics and other such experts within a specific area of a city. Users can either call back these service providers using their app or arrange an instant call back. The platform also has a “Quikr Connect” feature that allows customers to state their needs to customer care executives, who in turn connect them with service providers that best match their requirements. Earlier, Quikr had launched QuikrHomes for tapping real estate market (which already uses WoNoBo’shyperlocal search features); QuikrCars for exclusive automobile searches and QuikrJobsfor a dedicated job search portal. They have already opened up their API with the launch of QuikrDvlpr, which can help other developers to build apps on their platform. After Reliance Industries and Birla Group, it’s now the turn of Tata Group to get smitten by the ever-burgeoning ecommerce market in India. The Tata Group will launch the country’s first hybrid online retailing venture, a combination of a portal that will list brands and handle payment transactions and brick-and-mortar stores that will set prices, deliver products and provide customer support. Group firm Tata Industrial Services, which changed its name to Tata Unistore Ltd, will spearhead the venture that’s likely to be piloted before the Diwali shopping season. The venture’s brand name is yet to be finalized. This seems like an indirect take on the business model propagated by existing ecommerce biggies Flipkart, Amazon and Snapdeal which are also providing similar branded marketplaces for online buyers and sellers. 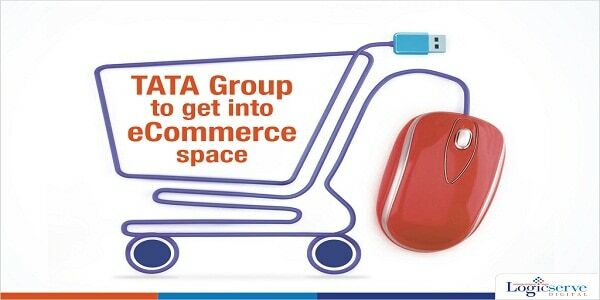 Tata Group’s ecommerce venture can be a new platform, which will introduce some major innovations for creating a platform wherein offline and online retailers can merge and work together. Paytm has entered into partnerships with various insurance companies including ICICI Prudential Life, Religare Health, Reliance Life and Reliance General to aid the payment of insurance premiums online through its wallet. 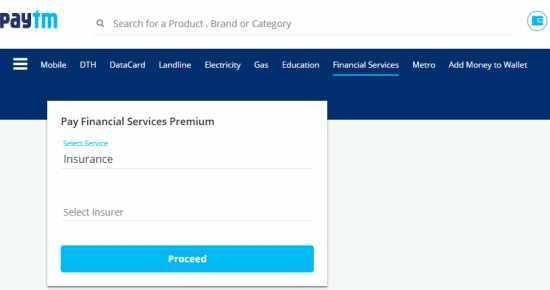 Paytm is targeting premium payments of Rs. 1,000 crores by the end of the fiscal. “In keeping with our digitization drive to offer better services to our customers, we have tied-up with Paytm. Digital wallets have become popular and our association with Paytm will enable our customers to make premium payments while on the move and in a matter of minutes,” said Puneet Nanda, executive director, ICICI Prudential Life. “Our commitment is to provide users with simple and seamless payment experience. I strongly believe that we will be able to increase the renewal rate for the insurance companies,” said Senior Vice President of Paytm KiranVasireddy. Paytm is going live with over 15 companies by the end of next quarter and over 100 million registered users of Paytm can now pay their insurance premiums on-the-go. It also plans to offer consumers deals if they opt for this particular medium to pay their renewal premiums. With this, Paytm aims to be a one-stop shop for all bill payments and recharges. This is part of the larger expansion agenda of the firm, which recently entered into hotel aggregation. Paytm also got payment bank license from Reserve Bank of India, It is looking to invest about $200 million in payments banks over the next three years. The company has set out a target of April-May 2016 for rolling this out. Buying electronic gadgets or furniture through e-commerce sites may soon be passes. Indian consumers could buy Mutual Funds online on ecommerce sites similar to Flipkart, Snapdeal, Amazon and others – Market regulator SEBI (Securities & Exchange Board in India) plans to soon issue norms that will allow ecommerce companies to sell Mutual Fund products online. SEBI is now coming up with new norms that aim to simplify the process of mutual fund investment and attract wider audiences. The new norms will also include implementing know-your-customer (KYC) procedures online. These new norms are expected to boost the Mutual Fund Industry in India. SEBI has setup a committee under the leadership of Industry veteran Nandan Nilekani to suggest ways of increasing participation of retail investors in Mutual Funds.